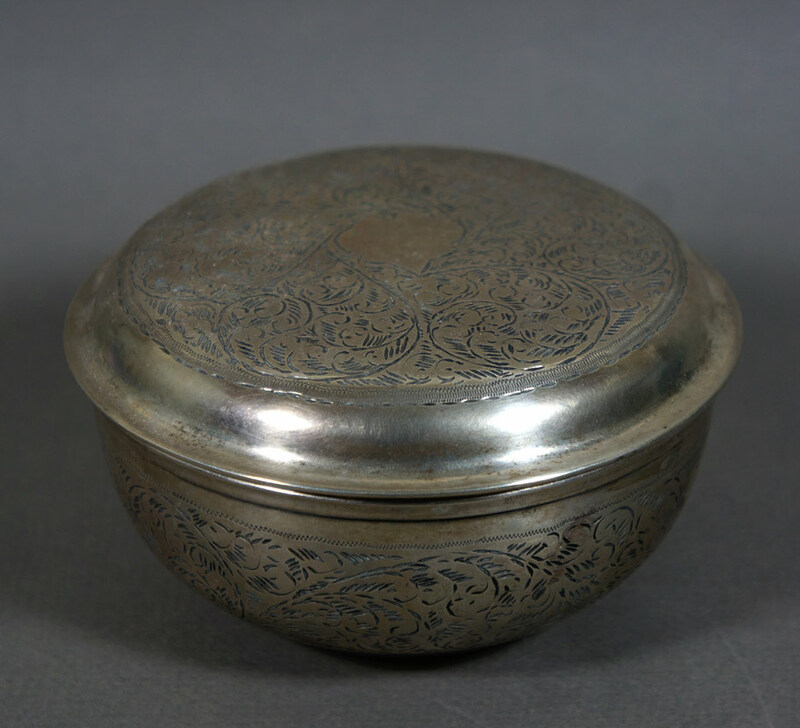 An early 20thc European circular silver box engraved with foliate scrolls surrounding a central crest. 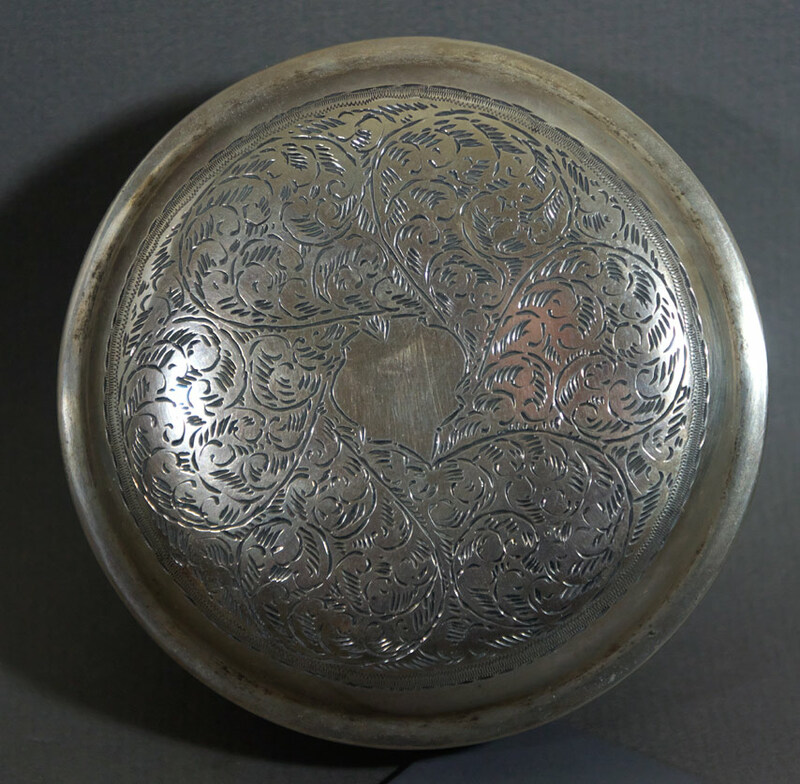 Monogram area in the centre of lid has not been engraved. Size 4½” dia., 2½” high. Weight 205g.